Now that process is developing into a major crisis. Other groups – university students, Air France personnel, hospital staff, garbage collectors, violent clashes at the Notre Dame des Landes “zad” (zone à defenre), etc. – joined the movement. To overcome the spread of the social discontent will be the first and decisive test for the French president. When the government announced a restructuring of the SNCF , which involved the status of the railroad workers or cheminots, dealing with the unsustainable debt, introducing competition, and the overall modernization of the rail network – the reaction of the unions was immediate and massive. On March 18, four trade unions – CGT (Confédération Générale du Travail), UNSA (Union Nationale des Syndicats Autonomes), RAIL-SUD and CFDT (Confédération Française Démocratique du Travail) – announced an innovative and deadly form of strikes: work stops for two days, then trains run for three days. This schedule will be repeated for a total of 36 days during a period of three months until the end of June … longer if necessary. The platform at the Gare de Lyon in Paris on April 3, showing the rail strike’s devastating effect. 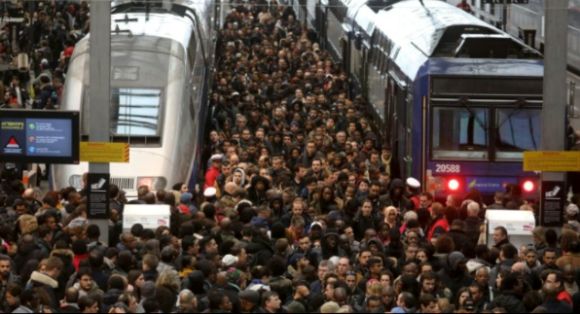 The French are bracing themselves for this monster strike, which will be hard for millions of working people, mainly commuters. The specter of the 1995 strike, which paralyzed France for one month, looms over the country. The collateral cost of a widespread strike is astronomical with the loss of work days; hotels and restaurants losing more than 30 percent of their profits; and factories momentarily having to close down and lay off employees, and the like. Facing the angry unions was Minister of Transports Elizabeth Borne, who is a petite, remarkably qualified 57-year-old woman. A product of the top elite school Polytechnique, part of the socialist government of Lionel Jospin, former head of the RATP (Régie Autonome des Transports Parisiens) and of the SNCF strategy from 2002 to 2005. Technocrat rather than politician, Borne knows everything, but communication is not her forte. The 150,000 cheminots occupy a special place in France and are at the heart of the nation’s DNA. This is why the government’s efforts to bring reforms have met resistance violence the like of which it may not have anticipated. The aura surrounding the cheminots has been significantly fed in popular culture by a couple of films. 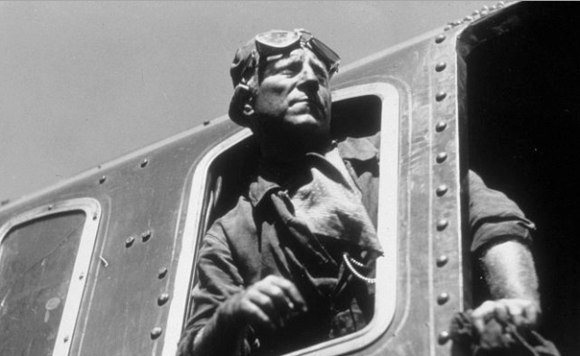 In Jean Renoir’s “La Bête Humaine”, 1938, Jean Gabin portrays a cheminot. He looks quite dashing as he leans out of the steam engine wearing goggles, his face smeared with black dust. Sustained by a bottle of wine he shares with his jolly co-worker, his exhausting job is to feed the “beast” with coal in the deafening noise of an inferno while breathing poisonous fumes. The indelible image of this hero inspired the population’s respect for the hard work of the cheminots. Jean Gabin as a cheminot in ‘La Bête Humaine,’ 1938. The other film, which contributed to the collective adulation of the French for their cheminots, is La Bataille du Rail, 1946, played by non-professional actors. It shows their courage against the Nazi occupants in provoking the derailment of many German trains. The cheminots are fiercely attached to their special status including retiring at as early an age 52 with a very generous package of guaranteed employment for life and free transport tickets for the extended family. The government is trying to be reassuring, saying that the changes will only concern the railroad workers hired in the future. The cheminots will also benefit from a “social backpack” whereby they can take their special status with them in case of transfer to another job. The SNCF is badly in the red: its debt of over 50 billion Euros increases by three billion every year and the infrastructure is in dire need of investment. Although showing some signs of disfunction – trains are often late, major break downs such as the ones which occurred last fall when the Gare Saint Lazare and Gare Montparnasse left passengers stranded for hours – the rail system is still one of the best in Europe. The French people do not realize what an expensive luxury it is to have such a public transport system. But this luxury comes at a price: its operation cost is 30 percent higher than the one of other European railroads. The cheminots have a visceral fear of the word” privatization.” The government has repeatedly said that there will be no privatization. The state will remain the sole share holder and the only change will be that, in the future, the SNCF will be run as a private company, according to directives approved by the European Council in 2001. The opponents to reforms spread unfounded horror stories about the introduction of competition and problems it caused in other countries. Besides, the SNCF’s structure, as a public company created in 1937, had already entered that process over the years. Freight was privatized in 2003. International lines – like Eurostar (to England) and Thalys (to Belgium, the Netherlands, Germany) – are run independently from the SNCF. The Italian company Thello runs night trains between Paris and Venice. All Trains à Grande Vitesse (TGV — high-speed train) tracks are scheduled to be shared with foreign companies by 2020, according to the guidelines approved by the European Union (EU) members. Emmanuel Macron is dealing with the most challenging issue of his presidency to date. 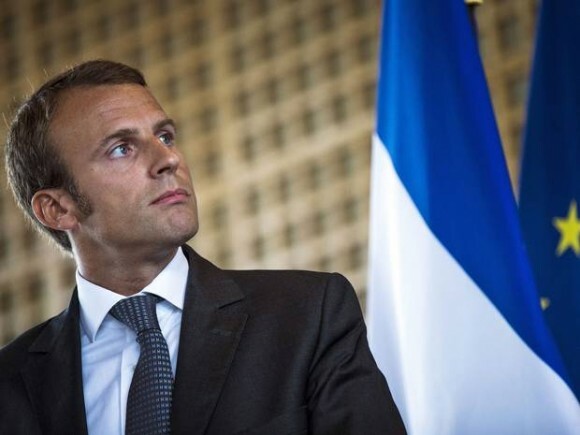 With the one-year mark of his mandate approaching, Macron felt it was timely to take stock of what has been accomplished to date by his government. His first talk took place on Thursday, April 12, during the midday news. The president was sitting on a tiny chair in an elementary classroom in Normandy. In a relaxed atmosphere, the president answered the questions French people – including retirees – were asking regarding the erosion of their purchasing power. Many people expected fireworks during the second event on the evening of Sunday, April 15. The fireworks duly happened. Two journalists – Edwy Plenel from Mediapart and Jean-Jacques Bourdin, from RMC (Radio Monte-Carlo ) wanted only one thing: to tear Macron to pieces. Interrupting him from the start, their questions were bundled with disinformation. Insults and accusations flew. Plenel went as far as saying, “Mr. President, you only won the election by default and your program was supported by just a handful of people.” Bourdin treated the president as a criminal — as he frequently does in respect of the person he is interviewing, bullying them into a “Yes or No” answer. When the exchange touched on the veil worn by Moslem women, both journalists blasted Macron for totally opposite reasons. Macron’s performance was superb. He kept his cool and managed not only to answer the questions at length, but also to explain the rationale for his policy. Among all the information he disclosed, one was crucial — starting in 2010, the state will gradually take over the huge debt of the SNCF. Editor’s Note: This is the opinion of Nicole Prévost Logan. About the author: Nicole Prévost Logan divides her time between Essex and Paris, spending summers in the former and winters in the latter. She writes a regular column for us from her Paris home where her topics will include politics, economy, social unrest — mostly in France — but also in other European countries. She also covers a variety of art exhibits and the performing arts in Europe. 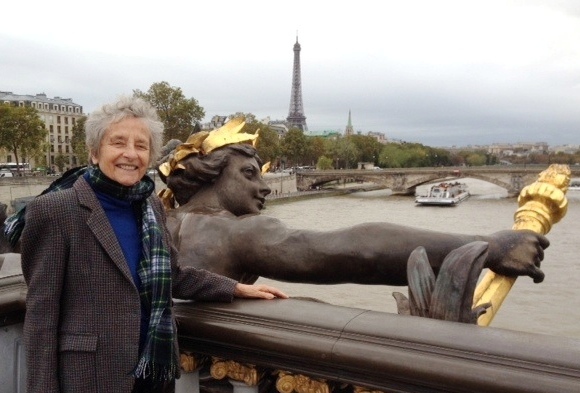 Logan is the author of ‘Forever on the Road: A Franco-American Family’s Thirty Years in the Foreign Service,’ an autobiography of her life as the wife of an overseas diplomat, who lived in 10 foreign countries on three continents. 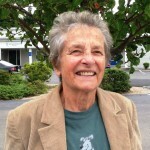 Her experiences during her foreign service life included being in Lebanon when civil war erupted, excavating a medieval city in Moscow and spending a week under house arrest in Guinea.